My research interests include fabricating flexible electrical circuits, providing wireless energy to smartdevices to enhance their functionality and personal fabrication technologies. 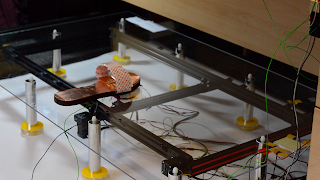 In my recent role as a Postdoctoral Associate in the HCI Engineering Group at CSAIL, MIT I undertook research into providing electrical energy to shape changing soft objects. I like to build, tinker, create and design electronic projects and I am passionate about helping others to do the same. 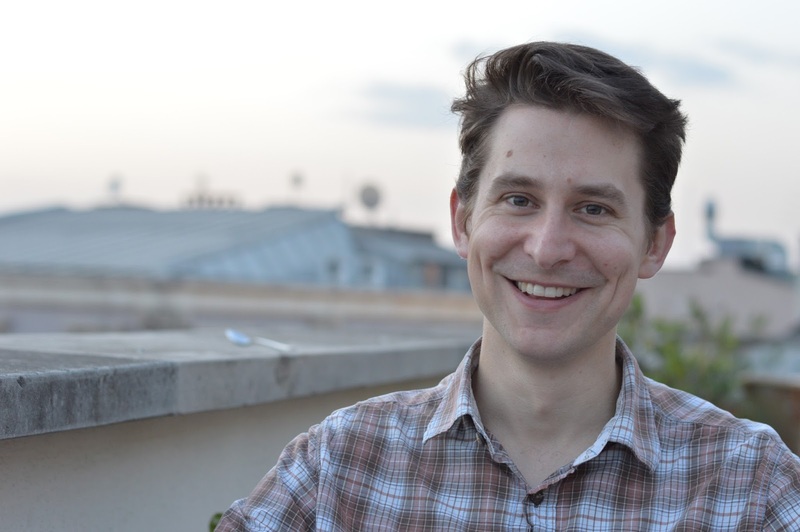 I undertook my PhD in Electrical and Electronic Engineering, with a focus on Human-Computer Interaction (HCI), with the Bristol Interaction Group at the University of Bristol. My doctoral research focussed on energy transfer systems to support smartphones and wearables on the body, without user input. My doctoral research was carried out as part of the Centre for Doctoral Training in Communications and within the Sensor Platform for HEalthcare in a Residential Environment (SPHERE) project. During my master’s degree in computer science I chose to undertake a research project within HCI looking at using interaction design strategies to make algorithmic music systems more accessible to a wider audience, developing a system called the ChromaComposer. For further information please see my ResearchGate or Google Scholar profile. I believe in developing systems to replenish the energy in our mobile and wearable devices all without requiring user intervention; the mobile devices will appear to charge themselves. To achieve this vision I worked on engineering systems using inductive power transfer and leverage human interactions with our everyday environment to provide ‘recharging’ points. 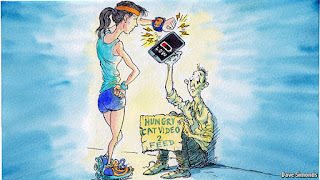 Furthermore, when we are out-and-about and away from electrical grid charging, I believe we can share and redistribute the energy we carry in our multiple smart devices, such as smartphones, tablets, laptops, music players and wireless headphones, to support our varying mobile task needs. We can extend this sharing and redistribution of energy beyond our own smart devices, to collaboratively support other people’s smart device, such as friends, family, colleagues and even stranger’s devices. In essence, I believe we can create a collaborative, truly mobile energy distribution system which is not geographically fixed but is carried by each of us and ready to support our mobile device energy needs. P. Worgan and M. Fraser, CoilMove: An Actuated to-body Energy Transfer System, In Proceedings of Designing Interactive Systems (DIS) 2017, 791-795, 2017. 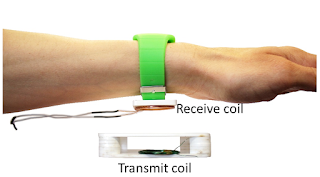 CoilMove is an energy transfer system capable of autonomously providing wireless energy to the body to charge on-body devices, such as smartphones. In our paper, CoilMove is used as a false flooring to transfer energy to a user's foot, all without user intervention. The energy is then used to charge a smartphone. CoilMove uses inductive power transfer to deliver the energy through the false flooring. CoilMove is compliant with international guidelines on time-varying magnetic fields for the operation of inductive power transfer systems in close proximity to muscle tissue. A magnet in the user's shoe allows the system to detect the location of the foot. We envisage CoilMove deployed alongside our work Garment level power distribution for wearables using inductive power transfer to move energy from the foot to the smartphone’s location on the body. CoilMove takes an important step in enabling energy to be delivered to our smartdevices on the body without user intervention, whilst maintaining compliance with international guidelines on time-varying magnetic fields. P. Worgan, J. Knibbe, M. Fraser, and D. Martinez Placencia, Mobile energy sharing futures, In the Adjunct Proceedings of MobileHCI 2016, 1134-1137, 2016. In this workshop paper we present our vision of a future where mobile energy can be freely and spontaneously distributed between our multiple mobile and wearable devices, such as smartphones, smartwatches, tablets and wireless headphones. We explore some of the opportunities and interactions presented by spontaneous energy transfer interactions and present some envisaged collaborative energy sharing futures. P. Worgan and M. Fraser, Garment level power distribution for wearables using inductive power transfer, In Proceedings of the 2016 IEEE Conference on Human Systems Interaction, 277-283, 2016. In this paper we propose using the garments we wear as an on-body energy distribution network to transfer energy between our mobile and wearable devices. A mobile device which has a relatively large energy store can transfer energy to a device with a smaller energy requirement, such as a fitness tracker, in an effort to alleviate some of the charging burden placed upon us from multiple device charging. The picture on the right shows this exemplar scenario, where a mobile phone in the user’s jacket pocket is transferring energy to a fitness tracker on the wrist. During the project a novel coil topology was developed using flexible coils and conductive fabric to connect the coils, allowing for easy on-body integration. The system uses inductive power transfer to initiate and maintain energy transfers between mobile devices all without user intervention. P. Worgan, J. Knibbe, M. Fraser and D. Martinez Plasencia, PowerShake: Power Transfer Interactions for Mobile Devices, In Proceedings of the 2016 CHI Conference on Human Factors in Computing Systems, 4734-4745, 2016. PowerShake explores the engineering and human factors associated with allowing energy to be exchanged between mobile and wearable devices. 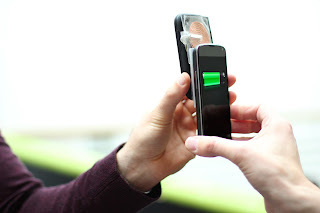 PowerShake allows mobile energy to be transferred between devices even when in close proximity to the body, to support our on-going mobile task needs, such as charging during a phone call. In total, three workshops were conducted with interaction designers and a wider audience at a creative hub, to decide upon and evaluate the position of transmit and receive coils on smartphone and smartwatch interactions during mobile energy interactions between personal and other people’s devices. The PowerShake project was featured in an article by The Economist. A video overview of the PowerShake project can be viewed below. P. Worgan, O. Pappas, T. Omirou and M. Collett, Flexible On-Body Coils for Inductive Power Transfer to IoT Garments and Wearables, In Proceedings of the 2015 IEEE 2nd World Forum on Internet of Things (WF-IoT), 297-298, 2015. Asking people to wear coils on the body to recharge their wearable and mobile devices, the designer faces a choice; embed the coil in a device or garment and try to minimise the form factor (depth) or place the coil on display and risk an unappealing aesthetic of a square or circular coil, which is usually rigid and unsuitable for on-body integration. In this paper we explore another option. Place the coil on display and allow the coil to be moulded into a logo or another visually appealing design. We construct flexible coils from copper tape using a commercial craft cutter, allowing for the personal fabrication of coils. We demonstrate the flexible coils have an equivalent performance to rigid wire coils and energy transfer to the coil scales with the area enclosed by the coil, as predicted by Faraday’s Law of Induction, for a constant transmit source. 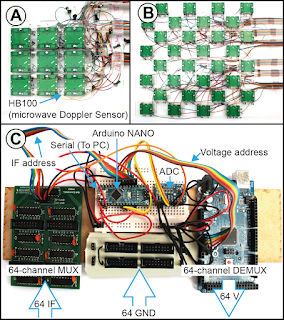 P. Worgan, L. Clare, P. Proynov, B. Stark and D. Coyle, Inductive power transfer for on-body sensors defining a design space for safe, wirelessly powered on-body health sensors, In Proceedings of the 2015 9th International Conference on Pervasive Computing Technologies for Healthcare (PervasiveHealth), 177-184, 2015. Within this paper we explore passive energy transfer from the user’s environment to the body to support wearable device recharging. The system takes advantage of interactions with close proximity to environmental locations during a user’s daily routine, such as sofas, chairs, desks and kitchen surfaces. The system uses the frequent interactions with the environment to deploy an inductive power transfer system to transfer energy to on-body locations. A design space based on international electromagnetic safety guidelines, padding around the transmit and receive coils and power throughput of the system is established and explored. 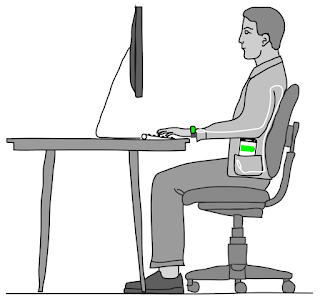 An expeditious experiment involving radiofrequency identification (RFID) readers and RFID tags on the body over three daily activities with twelve participants was carried out to indicate the optimal temporal on-body receive coil location over the daily activities and observe the variation of on-body locations with activity. L. Clare, P. Worgan, B. Stark, S Adami and D. Coyle, Influence of exposure guidelines on the design of on-body inductive power transfer, In Proceedings of the 2015 IEEE Wireless Power Transfer Conference (WPTC), 1-4, 2015. J. McIntosh, P. Worgan, M. Fraser and A. Marzo, DeskWave: Desktop Interactions using Low-cost Microwave Doppler Arrays, In Proceedings of the 2017 CHI Conference Extended Abstracts on Human Factors in Computing Systems, 1885-1892, 2017. DeskWave is an input system capable of capturing a range of hand movements and gestures in three dimensions, including moving the hand left and right, moving the hand towards and away from the system and closing the fist. DeskWave uses an array of HB100 microwave Doppler sensors to detect the gestures and machine learning to classify the gestures. One advantage of using microwave Doppler is the array can be hidden from view, such as beneath a table or within the wall, to allow the input system to merge with our everyday environments. DeskWave is a collaborative late breaking work paper between members of the Bristol Interaction Group. K. Baousi, N. Fear, C. Mourouzis, B. Stokes, H. Wood, P. Worgan and A. Roudaut, Inflashoe: A Shape Changing Shoe to Control Underfoot Pressure, In Proceedings of the 2017 CHI Conference Extended Abstracts on Human Factors in Computing Systems, 2381-2387, 2017. Inflashoe is a shape changing shoe which can adapt to surface the user is walking on or adapt to the user’s gait. Inflashoe is able to change shape through pneumatic actuation; each Inflashoe uses one pump and two values to inflate or deflate two bladders under the front and back of the front. Inflashoe can be used in medical support applications for the foot or adaptive pressure applications, such as terrain changes in running. Inflashoe is a student late breaking work paper for the Interactive Devices module. J. Burnside, B. Elgar, S. Healer, A. Hill, Z. Ioannidis, L. Mitchell, P. Worgan and A. Roudaut, Force Attraction Pen: A Haptic Pen with Variable Attraction Force, In Proceedings of the 2016 CHI Conference Extended Abstracts on Human Factors in Computing Systems, 2655-2660, 2016. The Force Attraction Pen uses a bi-directional electromagnet over a grid of magnets to provide the user with three types of feedback; a pull, a push and no feedback. A Wii remote with infra-red diode is used to sense the position over the interaction surface, to provide appropriate feedback. The Force Attraction Pen can be used to augment drawing on a computer. 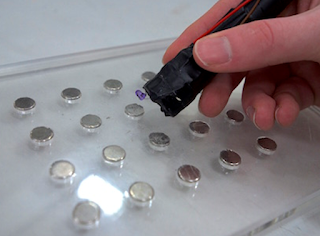 During my PhD I acted as a laboratory demonstrator for the Interactive Devices module. As part of the module students submit a late breaking work paper to the human factors in computing systems conference (CHI) and the Force Attraction Pen was accepted. I assisted the students with the electronic design and implementation of the system. 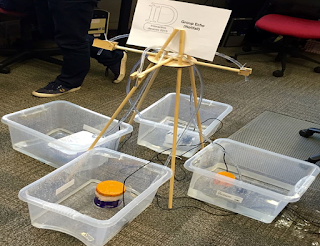 A. Harman, H. Dimitrov, R. Ma, S. Whitehouse, Y. Li, P. Worgan, T. Omirou and A. Roudaut, NotiFall: Ambient Sonification System Using Water, In Proceedings of the 2016 CHI Conference Extended Abstracts on Human Factors in Computing Systems, 2667-2672, 2016. NotiFall draws on Weiser’s Calm Technology approach to deliver ambient notifications to users based on falling water hitting a drum. NotiFall was a student late breaking work paper for the Interactive Devices module submitted to CHI 2016. The system uses the PumpSpark development kit and as a lab demonstrator I assisted the students in the Arduino interface and control of the system. O. Pappas, T. Barratt, M. Collett, K. Gebremicael and P. Worgan, White space radio: Towards an active database-centred topology, In Proceedings of the 2014 IEEE World Forum on Internet of Things (WF-IoT), 318-322, 2014. The WhiteSpace project was a collaborative student project between the centre for doctoral training in communications students to allow the next generation of smart devices to use radio frequency (RF) spectrum released from the switch over from analogue to digital television in a smarter way. The project proposed a hybrid between sensing and licensing of RF spectrum. Sensing spectrum requires smart devices to perform spectrum sweeps increasing device cost and time to transmit data. Licensing spectrum allows a single device exclusive access to a frequency band, though it may only be used very infrequently. The hybrid system consisted of a spectrum analyser synchronised with a mySQL database. Spectrum sweeps are performed by the spectrum analyser to determine free spectrum and smart devices query the database to obtain a temporary license. In this way spectrum database cells can be built up, in an analogous fashion to the cellular infrastructure, to efficiently manage access to the RF whitespace spectrum. During the project I wrote software to interface with the spectrum analyser over GPIB, set up a mySQL database on a server and implemented a PHP based interface to the database. 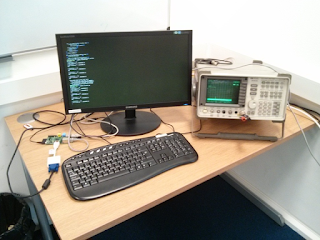 A working setup of the system running on a Raspberry Pi is shown in the picture. Laboratory demonstrator for Interactive Devices (COMSM0009). This master's level unit introduces students to the iterative design cycle. Additionally students build and evaluate prototype designs, allowing a practical outlet for their computer science knowledge. Laboratory demonstrator for Applications of Electronics (EENG16200). A first year introductory electronics unit for non electronic engineers. Assisted with the technical development of many computer science and electronic engineering projects including a ferrofluid display and a bespoke inductive power transfer system for a Sphero robot. Facilitator in a second year computer science tutorial session on Tangible User Interfaces with a musical bias, which ran for 6 weeks. Charging surface, P. Worgan, M. Collett, T. Omirou and M. Sutton, GB1605920.6, Patent Pending, 2016.